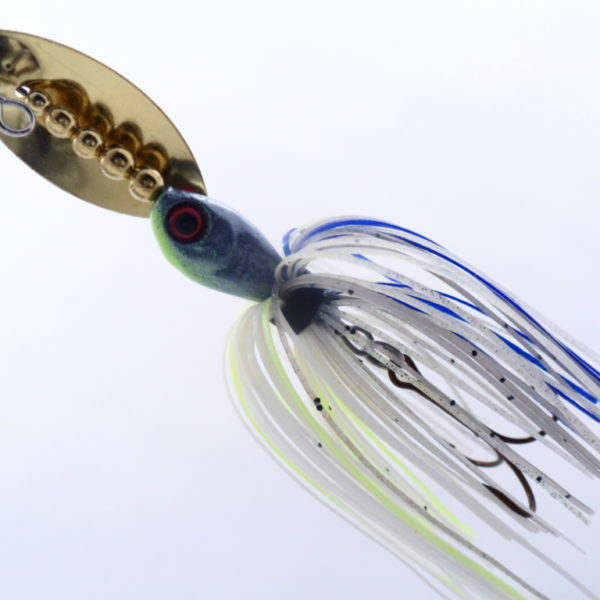 The Mega Chomp In-line Spinner combines the flash and vibration of an in-line blade with the pulsating action of a silicone skirt to create some unbelievable strikes. Our In-line Spinners are the first bait that I designed (over 20 years ago) as I wanted more action from the in-line spinners that fished. The only drawback to these baits is that fish will take them deep in a hurry so if your planning on releasing fish, please be quick with the hook set. The features of this bait are. 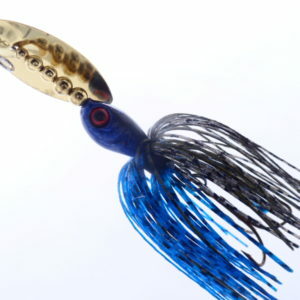 Be the first to review “In-line Spinner, Hot Shad” Click here to cancel reply.